Missouri Education Watchdog: "Education is the Wild West and There is Alot of Money to be Made". Is this the underlying philosophy of education "reform"? "Education is the Wild West and There is Alot of Money to be Made". Is this the underlying philosophy of education "reform"? Yesterday we wrote a piece likening Bill Gates to Pac-Man as he eats educational stakeholders in his quest for his educational vision. The taxpayers, parents, students, unions, teachers, administrators, state educational offices, etc are being replaced for Gates' vision of US public education models. 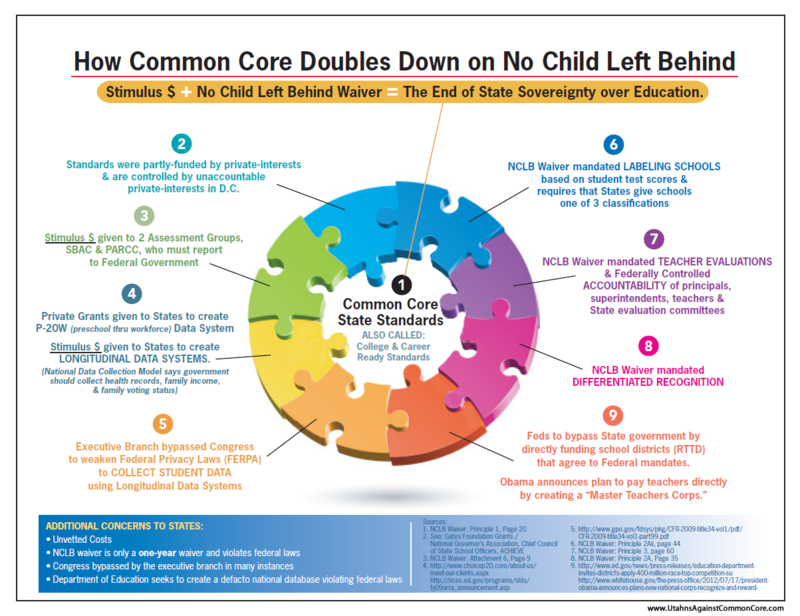 Gates is spending a fortune paying governors and states so they will adopt common core standards, which will then necessitate the expansion of the state longitudinal data systems. Software companies will reap the windfall, as well as Pearson, an educational publishing company that partners with the Gates Foundation. With the mandate of these new assessments having to be completed on line, the computer and assessment companies will realize an infusion of cash. Where this cash will come from is still a question that hasn't been answered; most observers believe the computers mandated will have to be bought by individual school districts which are presently strapped for cash. The districts won't be able to ask their states for assistance as they are pinching pennies themselves. With the standards and assessments being controlled by private consortia, the ability for the taxpayers to have any say in what their children will be taught (or not taught) is extremely slight, if not impossible. In June 2006, Joshua Benton of the Dallas Morning News reported that within the Texas Education Agency, contracts often were not competitively bid but depended on whom one knew at the Gates Foundation. Diane Ravitch was on target in a July 30, 2006 Los Angeles Times piece: "In light of the size of the foundation's endowment, Bill Gates is now the nation's superintendent of schools. He can support whatever he wants, based on any theory or philosophy that appeals to him." This was positioned as an opinion piece and there was no follow-up from the education press. Dillon's mention that National Governors Association and the Council of Chief State School Officers (CSSEO) received "millions of dollars" is rather like identifying half a dozen root canals as "a dental procedure." Since January 2008, Gates has shelled out more than $35 million to the Council of Chief School Officers and the National Governors Association Center for Best Practices, the two primary organizations charged with drafting and promoting common standards. Daniel Goldman's Bill Gates' School Crusade (Bloomberg Businessweek, 7/15/10) was one of two articles I found revealing that the Bill and Melinda Gates Foundation "bankrolled the development of the common curriculum standards." Golden observed that our U. S. Department of Education and the Gates Foundation "move in apparent lockstep" on an agenda which is "an intellectual cousin of the Bush administration's 2002 No Child Left Behind law." We--you and I--are paying for Gates' pet projects. Kenneth Saltman points out something few people seem to realize: For every ten dollars given by the Gates Foundation, four dollars is lost from the public wealth in taxes. The philanthropist’s dollars would otherwise go to the public in the form of taxes. So a big chunk of all that money Gates is spending to get teachers on script, destroy tenure, and standardize curriculum is actually OUR money; Bill Gates is using our tax dollars to mold America. And part of the plan--well on its way-- is to de-professionalize teachers. Saltman calls on readers "to stop applying business metaphors and logic to educational thinking derived from discredited market fundamentalism." Such terms as choice, monopoly, turnaround, efficiency need to be dropped in favor of public language and assumptions. Taxpayers are subsidizing (as tax-free) an organization bent on undermining their best interests. [See Kenneth Saltman's The Gift of Education: Public Education and Venture Philanthropy and Philip Kovacs' edited collection, The Gates Foundation and the Future of U. S. "Public" Schools. This is a takeover of education. 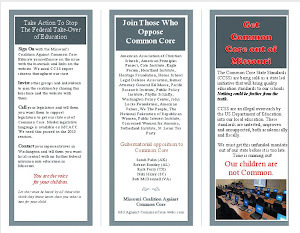 Gates and others can couch it in terms of choice and turnaround schools, etc, but the fact remains, these models of providing education and the delivery and setting of standards/assessments/curriculum is being set by private companies, the National Governor's Association (NGA) and the Council of Chief State School Officers (CCSSO). 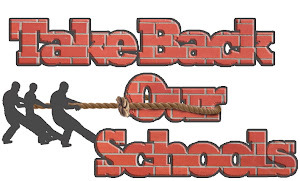 You might just want to rethink if your local PTA really needs funds for pet projects when the national organization is pushing "reform" which takes parental and taxpayer control away and lines up with crony capitalists. The American Federation of Teachers (AFT) and National Education Association Foundation (NEA) have also received substantial amounts to support Gates' agenda, which has evolved into the Department of Education's agenda. She has many more organizations and think tanks listed funded by the Gates Foundation. That metaphor is an apt one for the market as well. In the fall of 2009, Mr. Joftus was contacted by a former contractor who was working for Global Partnership Schools, a new school turnaround venture funded by GEMS Education, a Dubai-based company founded by entrepreneur Sunny Varkey. The caller was hoping to obtain copies of Mr. Joftus’ contract for school improvement services in Kansas. "There's money to be made...and school turnaround firms in the US are being funded out of the Middle East...there's money to be made". Does anyone still believe this is all for the children? Bill Gates is eating the Constitution and buying the players to implement the change HE wants for HIS ends. He and his cronies will become quite wealthy and powerful. The taxpayers, students and parents...schools, administrators, teachers....well, they'll be operating under one man's vision. And the irony is our tax dollars are funding a plan in which we had no voice and works against individualism and true education. This is not how a republic is to operate, is it? And why is our government complicit in this plan? Wow ..... fabulous article - how much time did you spend putting this together BB? I'm not worthy! I will share this far and wide!